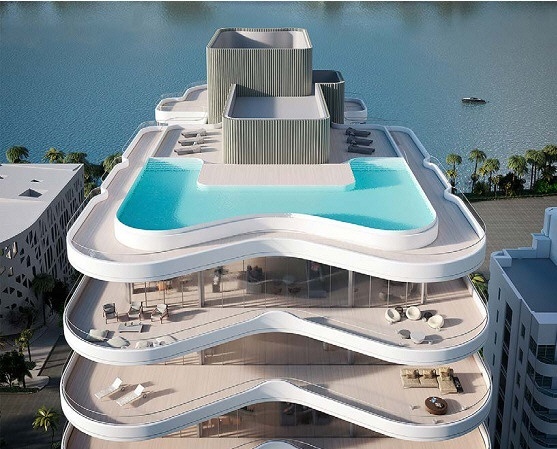 The NEW Faena Versailles Contemporary condominium in Miami Beach. 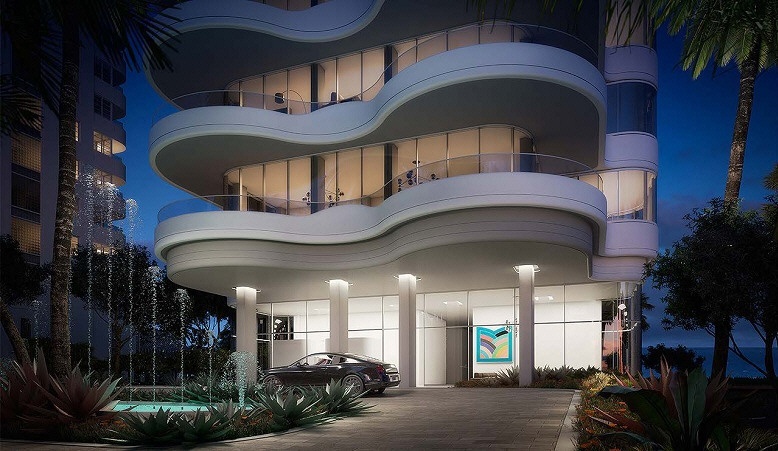 New ultra-luxury oceanfront condos at the Faena Versailles Contemporary Miami Beach condos. Coming SOON to Miami Beach on the ocean is the now under construction, Faena Versailles Contemporary Miami Beach condominium and condos. Part of the Faena Versailles two luxury condominium towers at 34th and Collins Ave. 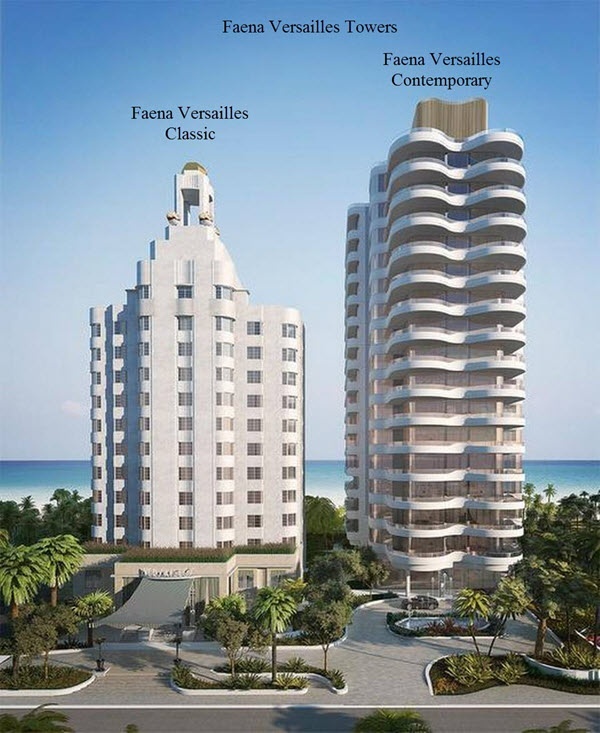 The historic Miami Beach Versailles Hotel is being restored, renovated and redesigned as the Faena Versailles Classic condos with this new luxury tower located next door to the south and also directly on the ocean. 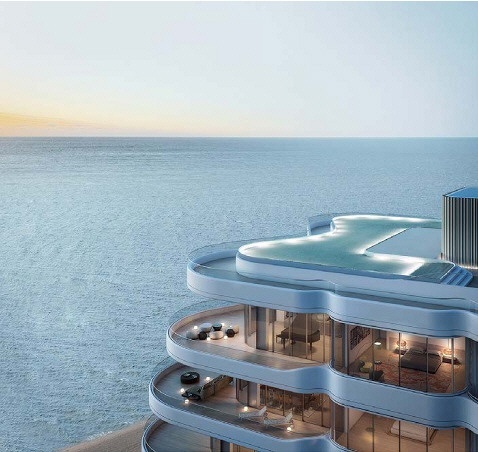 The Faena Versailles Contemporary Condominium tower will feature 41 luxury residences ranging from one to five-bedroom floor plans from approximately 1,111 square feet to 5,469 square feet under air. Expansive flowing balconies surround this new luxury condominium tower allowing you to enjoy beautiful ocean, sunset and Greater Miami Beach and Miami views. Two full-floor penthouses will exceed approximately 8,000 square feet; each penthouse offers 360 degree panoramic views. The top floor penthouse includes a 2,100 square foot infinity-edge swimming pool and a 6,600 square foot three terrace rooftop deck. 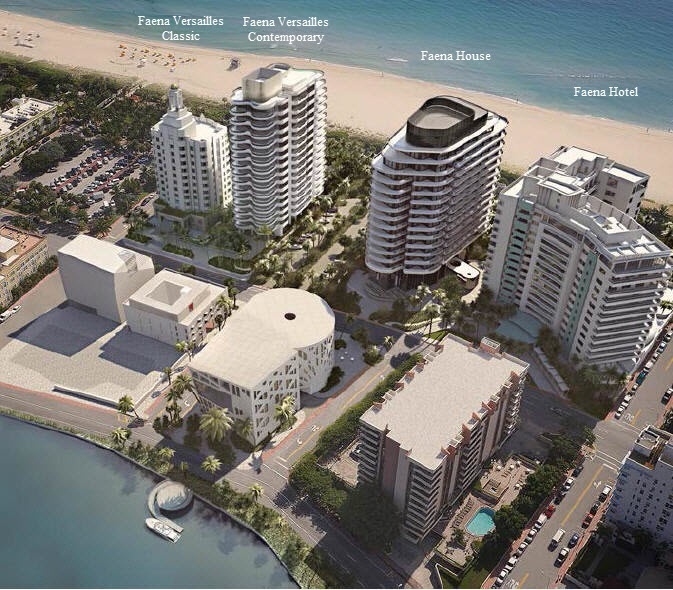 The luxury condominium residences at the new Faena Versailles Contemporary condos feature private elevator access to your home. Amenities, features and services at the Faena Versailles Contemporary will include (but are not limited to): valet parking, underground parking, storage spaces, two gyms, multiple pools, gardens by Raymond Jungles, and preferred status to components of the Faena district. 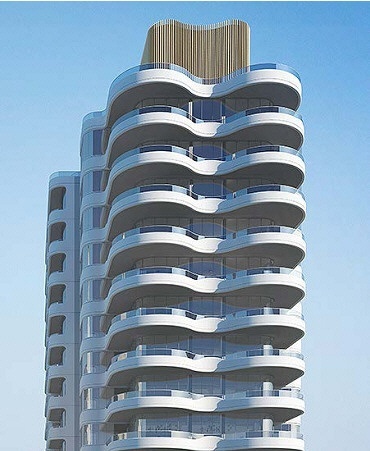 Occupancy of this brand new luxury oceanfront condominium in Miami Beach is expected in 2017.